"Rich and Mike are reliable and fun to be with. We recommend them all the time." - Kathy & Warren Jones "We used The Transporter in July during a very involved vacation with our two young granddaughters. They picked us up at the Wilmington NC airport and drove us to the Bald Head Island Ferry dock. They were on time and extremely helpful. At the end of our week on the island, we needed to drive to Raleigh and Richard and Mike put us in touch with a one-way rental car agency on Oak Island which was more economical than having them drive us! Thank you Richard and Mike." - Molly Brining "The best thing about The Transporter is, they arrive and pickup on time. There is never a wait and their cars are clean and non-smoking." - LJC "Our company has hired The Transporter for transporting individuals and groups which many times include international travelers. 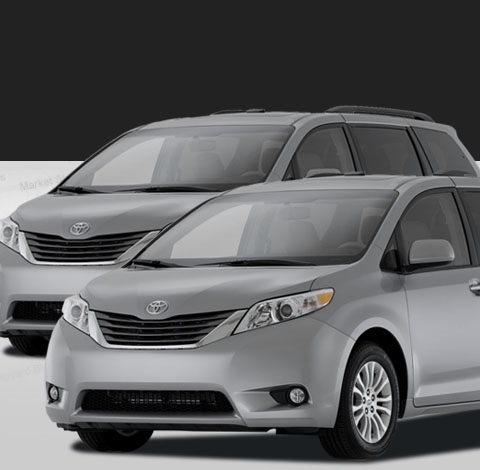 The drivers are always punctual, professional, and courteous with neat, clean vehicles. In addition they are attentive to the needs of our associates and guests. Whether calling or emailing for service I always receive a prompt reply. They are truly a service oriented company and I will continue to refer colleagues and friends." - Teresa W. "Thanks again to The Transporter. My flight was late again, but The Transporter tracked it and was still waiting for me when I arrived hours late. Thanks for being transportation I can depend on." - Ann Marie "What can I say about the service offered by Transporter? Efficient, friendly, and most importantly always professional. We utilized their services for over 3 years; when out of town Board Members travel in quarterly to our Corporate Headquarters on Military Cutoff or whenever transportation needs arise, whether to the airport or one of our manufacturing facilities we've never had a complaint, they always go the extra mile to ensure outstanding customer service." - Trish "I've hired The Transporter for years for regular and frequent travel to/from ILM. They are always available at the reserved time, and their drivers are very professional and polite, friendly and helpful. The vehicles are ultra clean and comfortable. I plan to continue using them and highly recommend them." - Liz A. "Last fall, several members of my family traveled to Bald Head Island for a wedding. I contacted The Transporter for a shuttle from the airport to the ferry, and was pleased with all communications prior to trip, and the prompt and courteous service to and from my destination. I would highly recommend them for your travel needs." - Marge Humphreys "We had a great experience with The Transporter. They were flexible and able to accommodate our large group and varying schedules. We will use them again!" - Megan C. "I can sleep well at night knowing the Transporter will always be at my doorstep for those early morning departures out of ILM. They are the most dependable service in Wilmington. Sincerely yours," - Stuart M. Grainger, Regional Sales Manager, Milliken & Company "I have used Richard and mike for my trips to and from the airport and have always been pleased with their service. They are always on time and offer a great service for the business traveler. I would recommend them to anyone." - Matthew B. Dean, President - Dean Hardwoods Inc. "Fran and I have always enjoyed your services over the past six years, and we are always assured of being transported by employees and vehicles with the highest standards in cleanliness, safe and attentive drivers and true professionals. The alternatives we have tried can not even come close to a single quality standard." - Fred Pickler, Fred Pickler & Associates Inc. "I had a great experience for my first flight into Wilmington. Pick up with on time both ways and driver was very polite and helpful. I was also accommodated with two different cars seats for my young children at no charge." - Cliff Morris "I landed in Wilmington around 10 PM EST, and had to catch the 11 PM ferry from Southport to Bald Head Island--the last ferry to leave that night. My driver was waiting at the airport curb when I got my luggage. Without breaking speed limits, he got me to the boat at exactly 10:57 PM, and I got on board. Had my driver been five minutes late at the airport, I would have missed my ferry, which would have cost me some $75 for hotel fare in Southport. I was, and remain, very grateful for his punctuality!" - Rob Guthrie "We use "The Transporter" service to the airport in preference to any of the other taxi companies. The cars are always clean and the drivers are friendly and obliging even when we arrive or depart at inconvenient times. Once you experience The Transporter you will wonder why you have not always been using this totally reliable service. Regards," - Tom Gibbons. "I have used your service several times after vacationing in Bald Head Island and flying into Wilmington, NC. We were met at the baggage claim each time and had a clean comfortable vehicle that easily accommodated us and our baggage. The driver was always friendly and the rates were very fair for the 40 minute commute to the Ferry. I would highly recommend your service to anyone, and plan on using you again next time I vacation in the area." - Colin Reasinger "You guys are great, on time, efficient. I'll use you every time I come to the area and have passed the word along to many others." - Lynn C "We were cheerily met at the Wilmington airport by our driver from The Transporter. He loaded the luggage of our party of 3 children and 3 ladies into the van and off we headed to the ferry for Bald Head Island. The driver was great, very informative, and accommodating of our grocery stop request. He picked us a week later - punctual as ever! We will definitely use The Transporter on our next visit!" - LorÃ? Drott "My family, and I have hired The Transporter for many years. Firstly, they have always been available at the appointed time. I addition, we have always enjoyed their professional, courteous service, as well as their safe, and clean automobiles. 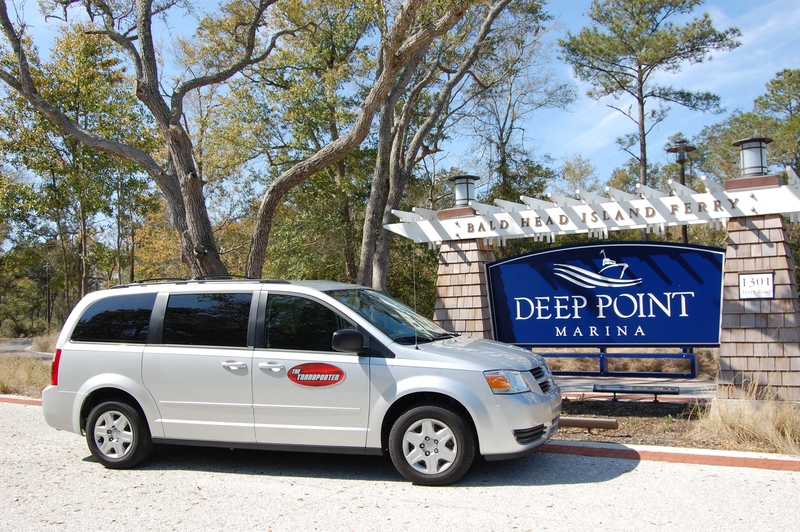 I will continue to recommend them to anyone in the Wilmington area" - Mark F. Edick "I have used The Transporter for transportation to and from my vacation rental at Bald Head Island for a number of years. I am a repeat customer because I know that I can trust The Transporter to be dependable, on-time, where I need them, when I need them and, to provide a pleasant and enjoyable experience. Their drivers are personable, courteous and respectful. As long as I am going to Bald Head Island The Transporter will be my source for reliable transfer. Transportation for Fort Fisher, NC! The Transporter of Wilmington, NC is a transportation services company which prides itself on providing the cleanest, safest, and most reliable smoke-free experience possible. Whether you require an airport shuttle van for your family vacation or taxi service for two to a wedding, The Transporter provides top-notch transportation to and from airports, hotels, beach resorts, vacation homes, and more. Our drivers are courteous and respectful and our vehicles are clean, comfortable, and 100% smoke-free. Private transportation services in the Fort Fisher area have never been so clean, worry-free, and affordable, as we will never overcharge for our services. Our dedication to customer satisfaction allows us to deliver an experience equally suitable for the business traveler requiring reliable late night service as it is for the retired passenger in need of safe medical transportation to a doctor appointment. Find out what our 400+ regular clients have already discovered: it doesn't matter if you're traveling for business or seeking taxi and shuttle services for your beach resort getaway…The Transporter is determined to satisfy your needs and exceed your expectations. We offer transportation between Wilmington International Airport (ILM) and all areas of Pleasure Island, including the Fort Fisher Historic Site and the North Carolina Aquarium at Fort Fisher. The Transporter provides top-notch transportation to and from airports, beach resorts, vacation homes, and more. See our vehicles below. Guests are encouraged to prearrange their transportation via email whenever possible. Child seats available without additional charge. If you require special accommodations for any reason please mention above.